7 Best Fruits for Weight Loss - A Complete Guide to Fruit Diet! Want To Reduce Body Fat? Eat These Fat Burning Fruits For Weight Loss! Losing weight is something that most people often do as of late. People would want to lose weight, and as a result thereof, would find themselves trying out several forms of weight loss regimen. There are different work out and exercising programs that will surely let you expel sweat and burn your fats to the maximum; for eg. 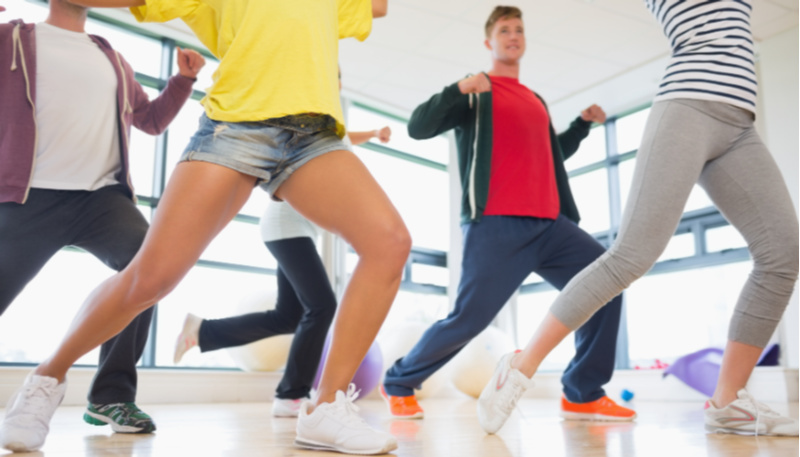 ​Zumba, Aerobics, weight lifting, cycling, and even running. ​Enjoy reading this article, and I hope that you will learn a lot as you go along! On the other hand, there are also those who would focus on their dieting; there’s the south beach diet, 7-days diet, and even on pure vegetable or all natural dieting. But there is one type of diet that will not only promote weight loss, but also is an effective method of detoxification to cleanse your body from unwanted wastes and toxins accumulated from the food that you take every day. This is the fruit diet. 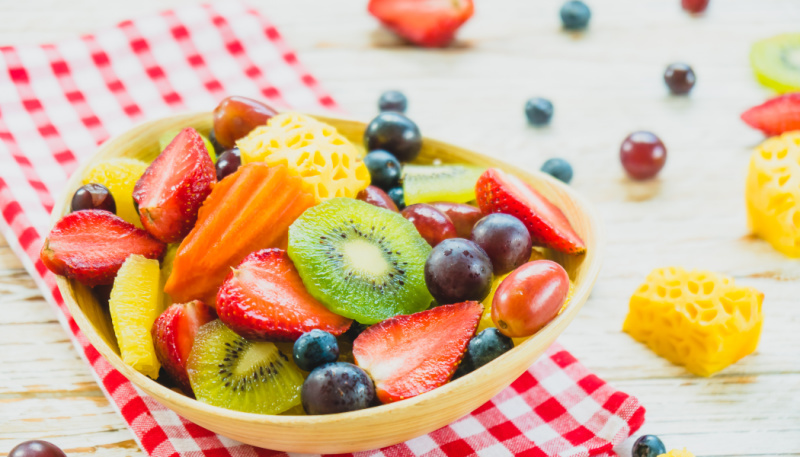 While other diets concentrate on a particular method or process by eliminating certain things in your meal plan, the fruit diet would need you to completely consume only fruits in a particular number of days. This is so as to ensure that your digestive track will be cleansed and all unwanted toxins are flushed out, leaving your digestive organs clean and smooth functioning. Most of the detoxification process is triggered by a number of compounds, vitamins and minerals that are often, if not all, present in fruits and vegetables. In the following parts of this article, you will discover and find out different ways and approaches to fruit and vegetable diet. You will know what different fruits could do and offer, how nutritious they actually are and how it can help in cleansing your body and trigger weight loss. You will also know some simple smoothie ingredients that you could enjoy as an efficient alternative to your daily food intake. You will also find a few simple tips and easy strategies for an effective weight loss and body cleansing regimen. These tips, as effective as it seems, are simple and easy to understand, allowing you to enjoy your daily routine and diet plan as much as you can. So, let's dive in and learn about the best fat burning foods. There are several methods and approaches to dieting, each promising a fast and efficient way to lose weight and gain a good looking and fit body. Not every diet however, could be considered as an effective diet plan for a specific individual that promises not only fitness and weight loss, but also strength and good health. Not every diet plan is the same, in the same manner as that no two people are the same. Not all diet plans fit everyone in a generic manner, which is why you should clearly know and understand what a specific program offers. Consulting a physician prior to starting any new health regimen is always a good idea. Ideally, a perfect diet plan is one with a balanced diet; complete with lean meat, fruits, vegetables and protein. This way, the body will be able to take in all the essential nutrients that it needs in a modulated and well balanced amount, allowing the body to function properly, including its metabolic rate that would quickly burn down the food and fats into energy. On the other hand, there are also other fast and efficient ways to go into dieting without subjecting your health to compromise. One of these is the fruits and vegetables dieting. Yes, people eat fruits and vegetables for weight loss. As apparent in its name, this type of dieting focuses on the consumption of fruits and vegetables. This does not imply that you shouldn’t eat meat; it’s the main source of protein, after all. ​However, this diet suggests that about 80-90% of your daily food consumption should be filled with nothing but fruits and vegetables. This way, you would be able to consume plenty of vitamins and minerals while making sure that you get to consume less calories. Remember that the lesser calories you take, the lesser fats are stored into your body. Another reason for the fruits and vegetables dieting is that it is the perfect way for you to detoxify your body. These natural food contains all nutrients and fibers that help filter the toxins in your blood and flush them out of your body. In fact, most people who undergo body detoxification are often advised to go under a strict fruit and vegetables diet for a few days to a week in order to fully cleanse the body. Apart from fiber and less calories, most fruits and vegetables are also known to contain complex carbohydrates. Due to their complex nature, they break down faster, and in effect allow the body to have more energy. This will also allow you to feel full for an extended period of time. The primal results of the fruits and vegetables diet plan is said to be felt and noticed best if done for at least 6 months. Again, remember to eat at least a viand of meat in a day to ensure that protein will be taken in by the body. Without protein, you would have insufficient amount of energy and would not be able to function properly. Make sure though, that the protein you select to eat has less fat and is actually healthy, such as lean meat and fish. 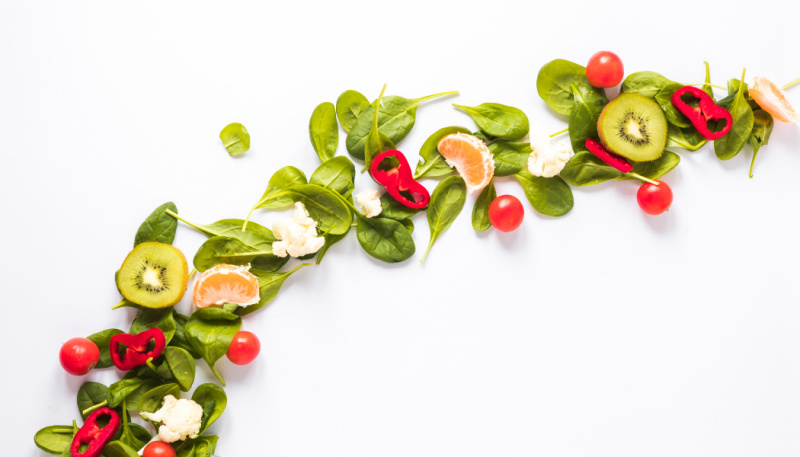 Currently, there are plenty of variations to the fruit and vegetables diet plan, each bearing different claims and approaches to guarantee an effective weight loss strategy to their clients. ​It is a matter of carefully choosing what type of diet suits you and will be good enough for you. As mentioned earlier, there is no such thing as a generic diet plan because not all diet plans work on every single person in the world. ​Fruit and vegetable diet plans usually call for a clearly outlined meal plan. Such plans must be full of fruits and vegetables with a piece of meat, all equating to at either 1,200 calories, 1,500 calories, or 1,800 calories in a day according to your bodies needs. The sugar amount of the fruits in particular, should also be taken into account as too much sugar may affect the blood sugar level in the body and can cause diabetes to the consumer. ​The next few parts of the article shall highlight all the benefits you could get from eating fruits and vegetables, and how you can effectively prepare a meal plan from this type of diet to ensure an effective weight loss in just a short period of time. Fruits are known to be full of vitamins and nutrients. Moreover, as they are often eaten raw, the natural vitamins and minerals are preserved in their simplest form, allowing the body to easily consume and digest it. 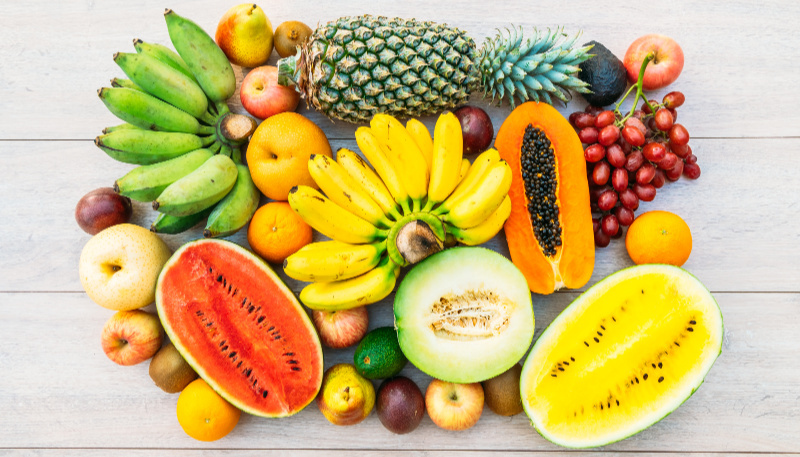 In general, there are plenty of reasons supporting the nutritional value of fruits and its healthy and positive benefits for human consumption. For as long as there are fruit bearing plants, fruits will be around for eternity. Fruits are everywhere; on shrubs, herbs, trees, and vines. They carry the seed that would help propagate the plants and make sure that their species will live on. ​As consumers of the fruits, we enjoy the lovely opportunity to taste their fruits and, as we eat them, help with the propagation as we distribute and cultivate them everywhere. One of the main purposes of fruits is to help propagate the plant as it holds the seeds. For the seeds to be distributed everywhere, animals such as birds and butterflies must carry them. ​So that they get noticed by these animals, fruits must be colorful and attractive enough to lure the seed carriers. This is why fruits and vegetables are very colorful, smooth and attractive. The beautiful appearance also makes it an appealing dish when put on plate. ​As mentioned earlier, fruits and vegetables have very few calories. This is one of the reasons why fruits are often advised to be included on diet plans, mostly for snacks as it would help you feel full. We'll be learning about some low calorie fruits and vegetables in the further parts of the article. ​Most fruits are natural sources of fiber. The fiber helps clean your digestive tract and aids your body in disposing unwanted toxins and wastes that get stuck in your body. These wastes often cause fats to accumulate in your system, thus the weight gain. As expressed over and over, fruits are rich in vitamins and nutrients needed by your body. They do not have cholesterol and most of which are low in fat and sodium. ​They also have the nutrients needed by the body especially under certain phases and circumstances, such as Vitamin C when you have cough and colds, Potassium if you have a high blood pressure, and Folic Acid. There are currently several medical and scientific studies looking at the potential of many different fruits as an effective means to prevent and protect the body against cancer. Although there are currently no guaranteed way to defeat this ailment once and for all, several plants, most of which are fruits, possess several chemical components that helps the body be protected from the harmful cancer cells. Fruits play a very integral role, not only in the life cycle of plants but also to the birds and animals that eat them. ​Knowing its positive effects in the body, one should learn how to enjoy a plate or two of fruits and integrate it into their daily diet to promote healthier body. ​Fruits contain plenty of vitamins and minerals. Each fruit bears not only a satisfying taste, but also a pack of healthy nutrients that are beneficial. If you opt for fruit diet Here​'s ​list of the most common vitamins and minerals you would normally find in fruits. ​Most fruits are known to contain anti-oxidants that help relieve stress and prevent cancer. Anti-oxidative properties aid in boosting a person’s immune system and cleanse the body from unwanted toxins. Folate or Folic Acid helps improve the creation of red blood cells in the body. For a pregnant woman, Folic Acid aids in the process of brain formation of the fetus in its first few weeks. Pregnant women are often advised to take vitamins and fruits rich in folic acid to provide protection to the baby and ensure that the organ formation will go smoothly and reduce the risk of having brain formation defects that could be proven fatal such as anencephaly, spina bifida, and other neural tube defects. (This is by no means a suggestion that pregnant women start any diets, please consult your physician prior to beginning any new exercise or dietary regimen). ​Potassium is important in maintaining strength in your muscles. It is also a helpful vitamin for maintaining and regulating a normal and healthy blood pressure. The best source for this mineral includes bananas, honeydew melon, and dried peaches. Fruits rich in fiber such as pineapple helps in body cleansing. It is known to effectively help regulate and sift through the unwanted toxins. It also aids well in weight loss. There are plenty of Vitamins known - Vitamin A, B, D, and many others. Each have a significant importance in ensuring good health. Vitamin C and E for instance, helps in skin repair. While Vitamin E ensures the moisture and freshness of the skin, Vitamin C on the other hand helps in skin repair, allowing the body to easily heal cuts and wounds. Calcium is also another nutrient that is present in fruits. Not only does it help improve the bone structure, and prevent osteoporosis, but it also helps keep you slim, aiding you well with weight loss. Studies also show that calcium, being an antioxidant property, can help effectively prevent cancer. ​Take note however, that despite its preventive properties, you should only have a moderate level of calcium in the body as studies also show that more than average amount of calcium may increase the risk of having cancer, especially, prostate cancer. ​There are plenty of fruits well known for their nutritional benefits. Apples for instance, are often advised by doctors to be consumed daily due to the fact that it has plenty of benefits. Berries on the other hand, are famous for their antioxidant properties and are often advised to be taken daily. Bananas meanwhile are considered the primary source of calcium and are often advised to be taken especially for those who have problems in the muscles or are suffering from potassium deficiency. Often, weight management consultants would advise you to take in different fruits, mostly due to the fact that, like multivitamins, they are packed with nutrients that help fill in the gaps and allow you to reach the required daily nutrient intake for a better and stronger health. A medium mango is practically considered an ideal weight loss kit. It has more than 3 grams of fiber, a little bit of calcium, well equipped with Vitamins C and A with only 130 calories. They are sweet, tasty, and visually appealing. Take note however that mangoes have more sugar content (even if they are simple sugars) compared to other fruits, make sure to control yourself and exercise regularly when eating them. 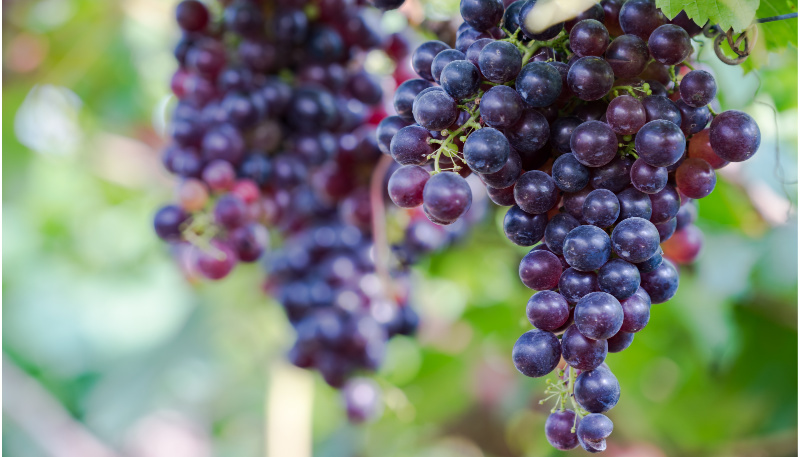 Grapes have a small amount of fiber and, red grapes in particular, have more antioxidants. They are known to be rich in Vitamin C and contains over just a hundred calories. This is one of the reasons why they are often suggested to be taken in as snacks, dessert, or part of a diet meal. Most berries, as mentioned earlier, are known for improving the skin and boosting immune system. It also helps prevent the body from having muscle inflammation. In fact, a study suggests that players who were often observed to regularly eat tart cherries are found to have their muscle pains and aches ease up. Pomegranate is more known as the fruit that Persephone ate and effectively sealed her fate to be with Hades as his wife. 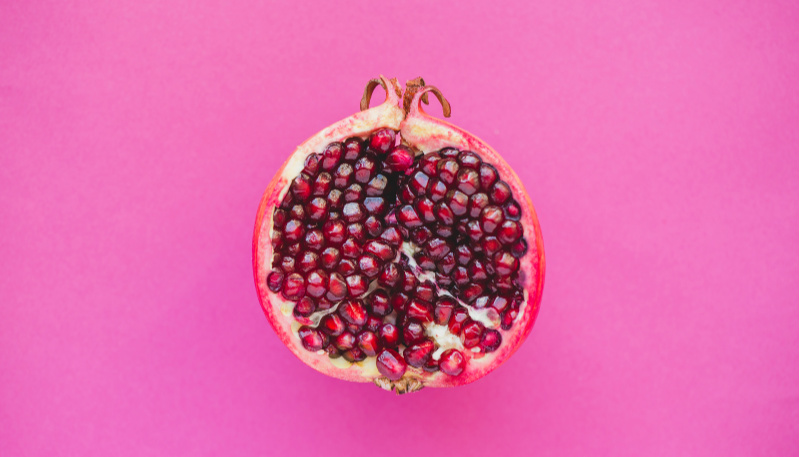 More than its mythical background however, pomegranate is also known to help those who are suffering from erectile dysfunction, known in the natural medicine world as a natural Viagra. It is a well-known aphrodisiac for men as it helps improve the vascular system, allowing men to therefore have longer and stronger erections. Studies also show that pomegranates have strong antioxidant agents that help prevent cancer. The grapefruit is a type of fruit often used effectively for weight loss and dieting. It has great anti suppressant capacity and, according to studies, could help reduce weight up to 3.6 pounds in 12 weeks when taken before each meal. It contains a rather soluble fiber and helps slow down atherosclerosis, although it is advised to not be consumed if you are under medication as it actively interacts with liver enzymes, therefore dissolves the medicine longer. This is one of the best weight loss fruits. Lemon is a very rich source of Vitamin C. It is often used as a special added ingredient to water to form lemon juice which is often done by those who go on weight loss diets. Regularly drinking lemon is known to effectively reduce cholesterol and body fat as it helps stimulate the digestive juices and break down the lipids which are primary components of fats. Apart from its effective weight loss properties, its energizing scent also helps increase energy and alertness, and mitigates anxiety, nervousness and fatigue. Fruits may also have different types. There are those which are low glycemic fruits, which normally affects blood sugar levels at a minimum. They have very low glycemic content and are often advised by doctors to be eaten by those who are on fruit diet, and are to be eaten in moderation for those who have diabetes. Some of these low glycemic fruits include berries, grapefruits, oranges, pears, cantaloupe, plums, apricots and peaches. Low carb fruits are another type that is often advised for diabetic consumers. It is a known fact that fruits are packed with plenty of vitamins and nutrients, and this includes carbohydrates. There are, however, fruits with low carbohydrates and may be consumed by diabetics at a moderated amount. One great example of this is cherries, which have a very low carb content of 14 grams and with only about 59 calories. Kiwi is another example of a low-carb fruit, with only 56 calories and only 13 grams of carbohydrates. In the recent fad of weight loss management, detox or detoxification is one of the processes often advised to the ones seeking weight loss. And when you talk about detoxification for weight loss, it means healthiest fruits for weight loss. It usually stands as a precursor to the entire diet process, and is considered a positive and healthy method to lose weight. As per the term, detoxification refers to removing the toxic substances in the body. 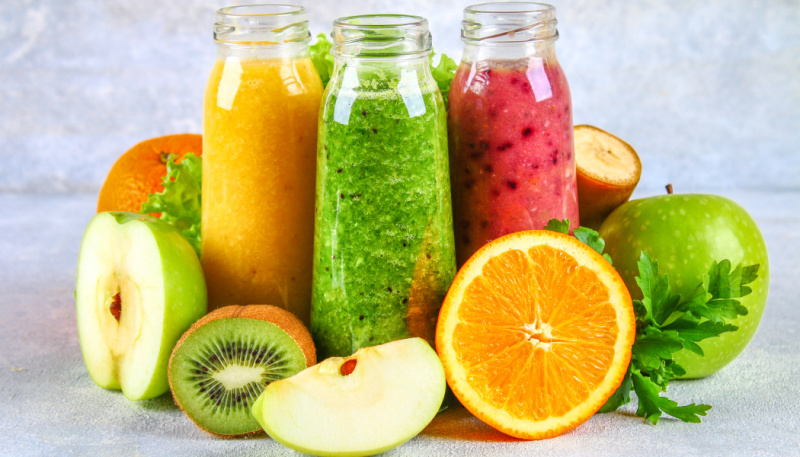 In detox, you would get rid of all the food that often induces unwanted chemicals; pizza, processed meat etc., and focus on simply eating healthy food such as fruit and vegetables. This way, all the toxins would naturally flush out of the system while your energy is replaced and supplied from perfectly natural sources. Detoxification may either be a short term or a long term process. Short-term detoxification program usually lasts from 3 to 7 days and focuses on internal cleansing. It actively triggers a natural method of damage-control in the body as it flushes wastes and toxins out of the body. Long term detox on the other hand, focuses on consuming clean and natural food at a daily basis. Apart from constantly ensuring that toxins are flushed out of the system, detoxification ​has one more positive side effect, which is weight loss. Apples, one of the best fruits for weight loss. They are a very nutrient-rich fruit that helps you fulfill most of the required daily nutrient intake. One of its biochemical components, Phlorizidin, is said to help stimulate the bile production in the liver. This helps the liver to effectively sift through the blood and actively get rid of the toxins in the body. ​Take note however, to eat only organically produced apples as it has about 15% antioxidant capacity higher than a normally massed produced apple. This fruit contains monounsaturated fatty acids which is good for the body and glutathione, which not only helps lighten skin complexion, but also a known high level antioxidant. 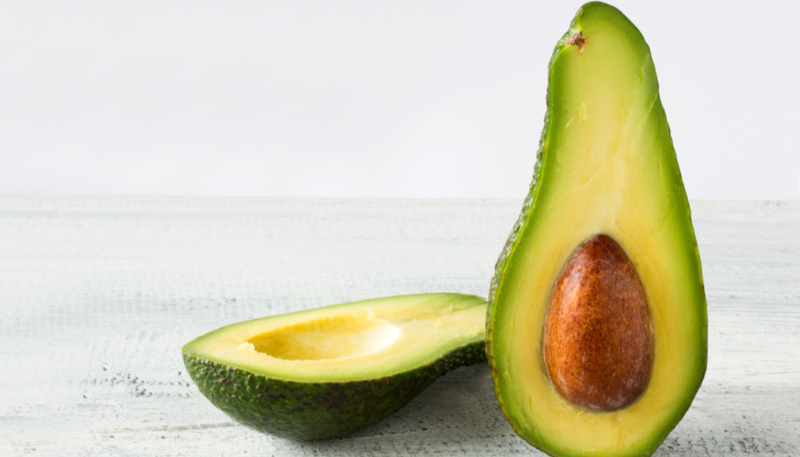 Avocados help block at least 30 carcinogen types that the body may have and improve liver activity, improving the sifting process and detoxification of toxins, especially synthetic chemicals. ​Apart from its antioxidant capacity, avocado is also found to help reduce the risk of arthritis in older people. Pineapple is known to have high amounts of fiber, a key component known for detoxification and flushing out harmful body wastes. 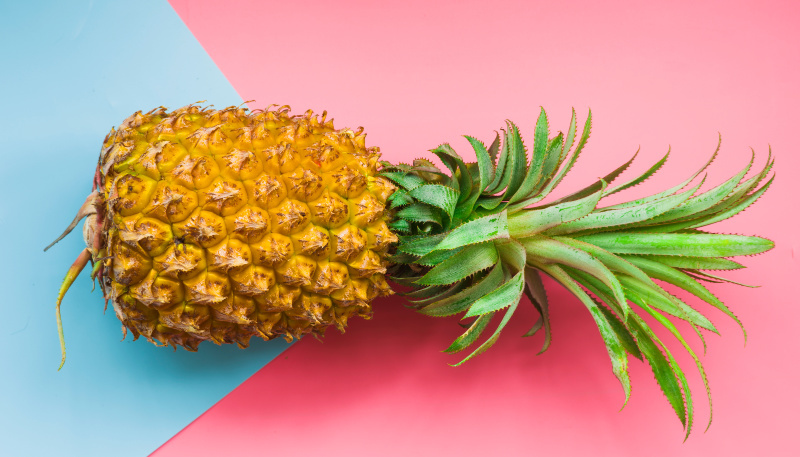 ​It helps clean out the body not only by improving the liver function, but also by cleansing and improving the colon through an enzyme called bromelain. Enzyme bromelain also helps prevent tumor growths and reduces blood coagulation. One of the most sought berries, the cranberry is often associated in the prevention of urinary tract infection. 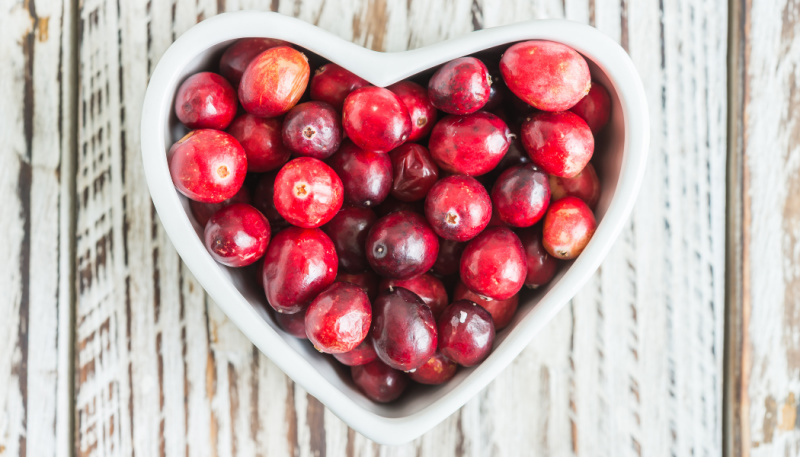 Cranberries have an anti-bacterial component that helps remove harmful toxins from the body. It also has an anti-inflammatory capacity and improves the immune system, basically promoting and enhancing the digestive system. People regularly consume cranberries in different forms; juice, tarts, or even raw, and are known to have improved health. 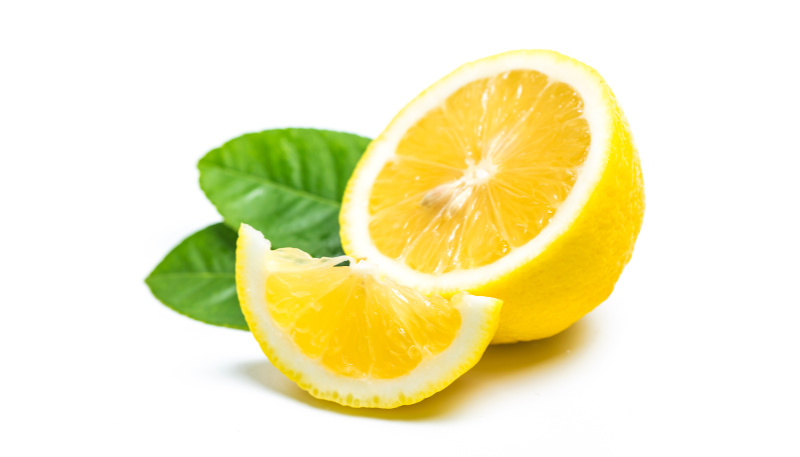 As mentioned earlier, lemons serve as a good component promoting weight loss. They are rich in vitamin C and help enhance and improve liver function especially in sifting through the blood to drive out toxins. ​Regularly drinking lemon water in the morning helps balance the acid levels in the body which are normally affected by the food eaten daily. Further, lemons have over 20 anti-cancer compounds, effectively reducing the risk of cancer. 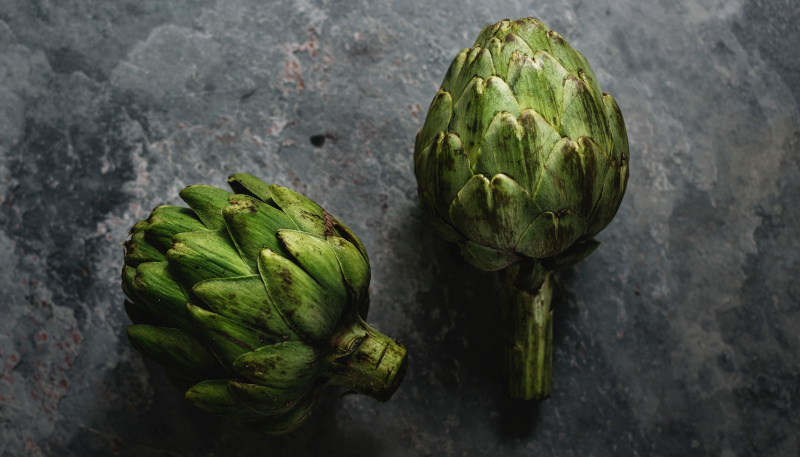 One of the main components of Artichokes that makes it an effective antioxidant and ingredient for detoxification is the caffeoylquinic acid. ​This enzyme stimulates smooth bile flow and often treats hepatic or liver disorders. The smooth bile flow helps clear the digestive system and breaks down fatty foods. One thing Asparagus is famous for is that it has high antioxidant level, helping protect the body from cancer. In fact, studies show that this vegetable helps reduce the mortality risk of people diagnosed with breast cancer. ​It also helps improve the cardiovascular system and has anti-aging components that will keep the skin look fresh and vibrant. Asparagus helps with the rapid draining of liver contents, allowing a smooth flow of its filtered wastes from the body and out. Broccoli is rich in enzymes that help improve the liver by filtering out the toxins and transforming it into a waste. You could have the broccoli raw, blanched, or cooked; but remember that the longer you cook this vegetable, the more heat destroys the enzymes and its nutrients. 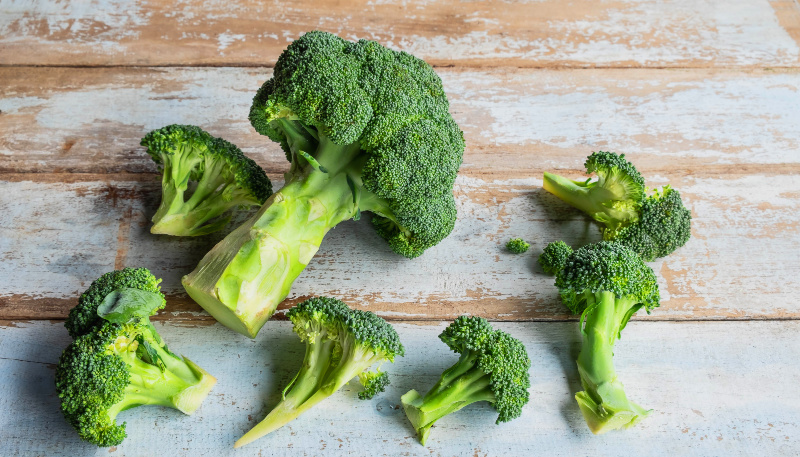 ​Apart from this liver-helping enzyme, Broccoli also has sulforaphane, a powerful component that promotes the prevention of diabetes, allergies, osteoporosis, and cancer. Cabbage is a good support for the digestive process. In general, it helps you with bowel movements, allowing you to easily and successfully expel all the toxins from your body that were filtered and processed by the liver and the stomach. Cabbage also has sulfur, a chemical component that aid in the faster break down of chemicals found inside the body, letting the nutrients go right into the organs and remove toxic wastes from the body. It also has a component called ofindole-3-carbinol that helps repair and boost DNA cells. Garlic is considered one of the wonder vegetables that scientists were all able to find, especially for detoxification and weight loss. It greatly boosts the immune system apart from improving the liver function. Sulfur content is also high in garlic, allowing it to easily heal the body. 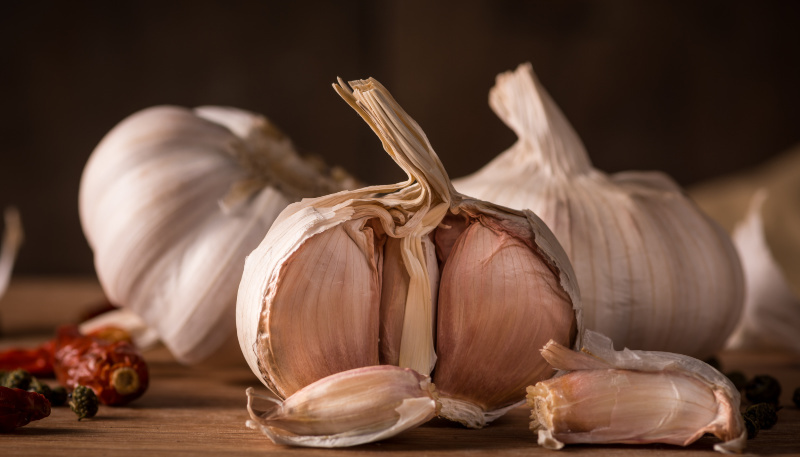 In fact, studies show that garlic has high anti-biotic properties that it is more effective compared to the synthetic anti-biotic medicine available in the market. The provided fruits and vegetables are just few of the significant and often used fruits and vegetables in detoxification. You should make a mental note however, that when it comes to detox, you should figure out if what you intend to do is a long-term or a short-term detox. Also, make sure that you are aware of the usual calorie intake as you prepare your meals. Remember that even if detox potentially and greatly helps with losing weight and cleansing the insides, managing and maintaining a low and ideal weight through dieting would only have if its paired with proper diet and exercise. Fruits are categorized into two general types; the dried and the fleshy fruits. While dry fruits focus on a particular set of characteristics that makes them unique, fleshy fruits are, on the other hand, further categorized into sub-types; simple, aggregate, or multiple fleshy fruits. Despite its name, dried fruits were all once a fleshy fruit that has been dried and dehydrated. Drying up may be done naturally through sun drying, or by using machine such as dehydrators. Compared to a fleshy fruit where timing is very critical in consumption, dried fruits tend to have a long shelf life and may therefore be stored and consumed for longer periods of time. The process of drying up fruits also helped consumers to eat a particular food that they prefer to have even if it is out of the season. Further, dried fruits do not need to be refrigerated, therefore it is easier and more efficient to store even in the absence of refrigeration. Dried fruits are also often used either as an ingredient in baking pastries and cakes or by complimenting your breakfast by having it mixed to your favorite cereals. ​What makes it an appealing condiment compared to a fleshy fruit is that given its dry nature, the flavor of the fruit tends to intensify, therefore allowing its consumers to taste the fruity flavor much better as compared to a dried fruit. ​Dried fruits are also considered as a healthy form of snack, allowing people to enjoy its unique taste as much as they please. As much as it has a lot of positive characteristics however, it also has a few cons as a processed fruit. For one, as it undergoes a certain drying and sometimes even heating, some vitamins, especially Vitamin C is destroyed. This results to minimal nutrients stores within the dried fruit than it would have normally had if it were fresh. Further, dried fruits that are commercially prepared or those that were dried using a machine may contain components such as sulfur dioxide. In a commercial setting, it is used to fix or enhance the color of the finished product, since an organic or naturally dried fruit would only look like a very dark version of the fresh fruit. However, the existence of this chemical compound may trigger certain ailments in consumers such as, asthma. Be mindful therefore you choose organically dried fruits especially if you have asthma. Basically, you could dry any fleshy fruit as you see, but some of the most common dried fruits include mangoes, prunes, raisins, plums and dates. Other fruits that you may also dry are bananas, pineapples, tomatoes, apricots, apples, figs, pawpaw, and cranberries. Contrary to the dried fruit, the fleshy fruit category are, most obviously, the raw fruits freshly plucked from the plant. Fleshy fruits are those that are full and rich in nutrients, and are often consumed raw. Compared to dried fruits however, they have a specific and critical amount of time when it comes to being eaten, because longer time in storing fleshy fruits may only result in rotting or fermenting. ​There are three categories of fleshy fruits in general; the simple fruits, the aggregate fruits, and the multiple fruits. Simple fruits refer to the type of fruits which came from a simple ovary with only one pistil. This means that there is usually only one seed in the fruit. Simple fruits are also often dried to consume its seeds, such as almonds and other types of nuts. In the case of simple fruits that are being dried such as the almond, the entire fruit is first being dried, either naturally or through a machine. After which, the dried skin and flesh are peeled off from the seed to be discarded. The discarded seeds are the ones further processed this time, as a form or snack or cooking condiments. There are also other fruits in which the seed, upon plucking from the plant, would immediately be separated from the flesh. ​The flesh may be eaten and the seed would be dried for further processing. 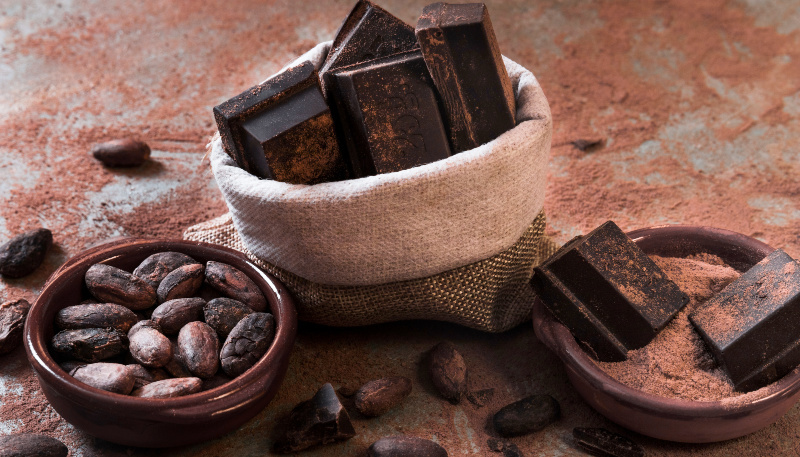 One perfect example of this process is the cacao, the primary ingredient used in making coffee and chocolate. Aggregate fruits on the other hand, are derived from plants that have numerous pistils. In this case, several ovaries of the same flower join together in order to form a fruit. ​During the process of development, the ovaries would grow and mature and, as they do so, end up being attached together to form a single fruit. 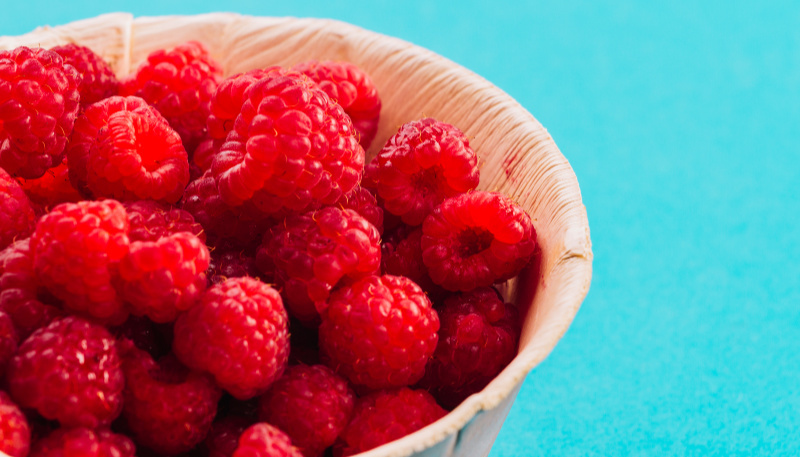 Berries such as the raspberry and the strawberry are the perfect example of the aggregate fruit. An aggregate is also known as etgerio. The third type of fleshy fruit is the multiple fruit. Multiple fruits, unlike the first two types of the fruit, develop from a group of flowers that merge in order to form one fruit. Most of the time, the development would also include accessory parts of the plant and of the flower itself that contributes to the fruit development. As a result, a merged fruit with several ovaries is formed. One perfect example is pineapple. You would see at the outer tissue of the plant that the ovaries are separated by sepals, and that each ovary has a bract which came from the accessory part of the flower. ​The green leafy part of the pineapple fruit are also the visible bracts that merge and derive from the flowers. Usually, though not all, seeds are not present in multiple fruits. Fruit diet doesn't necessarily require munching on fruits and vegetables only. You can consume all the fruits for weight loss in a drink form too. Yeah, one method for people to enjoy their fruit diet and detox is by converting the raw fruits into a cool and refreshing drink to consume at least once a day. These fruit juices or smoothies tend to have a bigger dose of nutrients all packed in one glass. Smoothie enthusiasts explain that drinking a smoothie is much better as in this case, the fruits are liquefied, in the process of enhancing the taste as several different fruits are mixed and prepared together in order to form a drink. Not only will it provide enjoyable refreshment, but it will also allow the drinker to receive all the nutrients that the fruits have without having the need to literally eat everything at once. So to speak, preparing smoothie will allow you to eat and enjoy your food more efficiently without having inconvenienced and troubled by the need to literally chew and eat. Further, as the fruits are already liquefied, it will be easier for the body to absorb the nutrients as there is only minimal need for the body to perform digestion in order to extract the nutrients from the food that you eat. However, you should be mindful of the type of fruit you prepare for your smoothie and what you put in it along the way. Recent studies suggest that a fruit smoothie or juice may potentially have as much sugar as that of a soda. Despite the nutrients that it contains since it came from the raw fruits, there is one essential component that gets left behind by the flesh where the juice came from; the fiber. 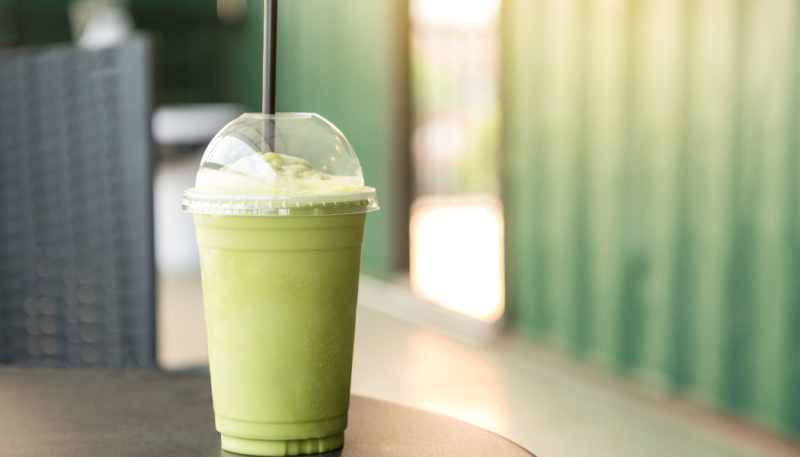 ​The fiber is not included in the list of nutrients carried over by smoothies and fruit juices, which means that the body will not have enough support to filter out the calories and aid in the breakdown of the fats in the body. Further, since there are often, several different fruits included in the fruit juice, the tendency is that there are plenty of sugar combined from these several fruits together, that is present in the drink. Given the lack of fiber, once more, the breakdown of the sugar gets slower. Despite all provided fair warnings, you could still not remove the fact that fruit juices are still nutritious, tasty, and famous. Despite these new discoveries on its effect on blood sugar levels, truth remains that it still is a nutritious drink and, compared to soda, it still winds up as the better option to quench your thirst for its nutritional and natural benefits. ​Here are a few smoothie ideas that you could ​make with some weight loss fruits. This smoothie is said to aid well in weight loss. This helps clean up your digestive tract and, in effect, helps improve digestion and breakdown of food. What you will need is a cup of chunky pineapples, a fistful of parsley, two tablespoons of honey to add taste, and 3-4 cubes of ice. Blend them together, and enjoy this refreshing drink! Mango smoothie is considered one of the best sellers especially on beaches and tropical countries. They are full of fiber and nutrients. Mangoes are also sweet that leaves a rather delicious and fruity aftertaste, allowing you to enjoy its taste to the fullest. ​Slice about two medium sized ripe mangoes. Pinch one-fourth of lemon to add punch into your drink. Add two tablespoons of honey and 3-4 cubes of ice and blend. 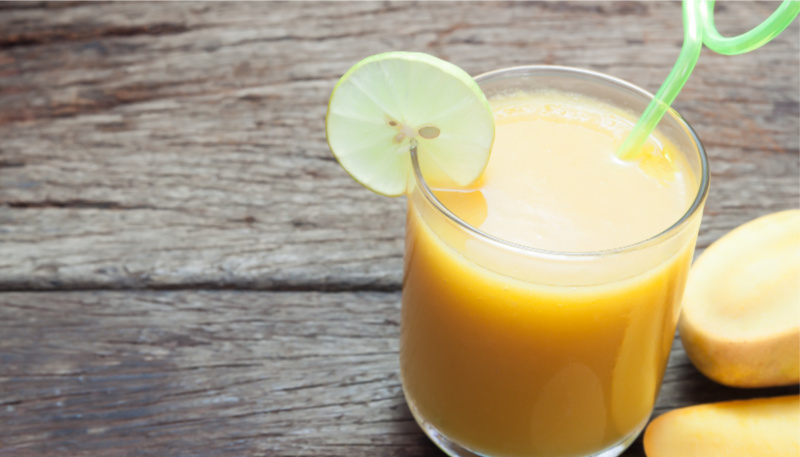 Cantaloupe or melon is a very sweet and refreshing drink that is perfect for smoothie. It contains a good amount of water on top of the nutrients it contains. ​In fact, eating it fresh and raw is often advised for those who are on a diet. Take about a cup full of cubed cantaloupe, two tablespoons of honey to enhance the taste, and about 3-4 cubes of ice. Toss everything into a blender and mix. This smoothie is ideal for those who would like to begin their detoxification by having a thorough cleansing. Banana, often mixed with a bunch of leafy vegetables often promote cleansing the digestive tract. It helps smoother flow of undigested wastes out of the body, leaving your digestive tracts clean. Take one big banana and cut it into pieces. Add about a fistful of mixed green leaves; lettuce, parsley, or even spinach. Add a couple tablespoons of honey and some ice cubes into the blend. Puree the mixture and enjoy the drink! These are just some of the fruit smoothie recipes you may enjoy and get healthy benefits from. Keep in mind however that smoothies are not replacements for the real fruit or any type of food. You should still make sure you keep a balanced and healthy meal each day to maintain proper diet. Watermelon smoothie is as refreshing as you would imagine for the fruit itself. It is a wonderful fruit that is very ideal for summer. It is also full of nutrients and of water, allowing you to have a refreshing feeling. To have this, prepare a cup full of cubed watermelon. ​Add about two leaves of mint just to enhance the refreshing taste. Add two tablespoons of honey to add sweetness to the drink. Add about 3-4 cubes of ice to maintain its coolness. Blend in a mixer and enjoy. Getting the right amount of nutrients in the body is very important. However, nutritionists and researchers agree that eating all different fruits, vegetables, and meat in one single meal just so you could fulfill the required daily nutrient needs is impossible. 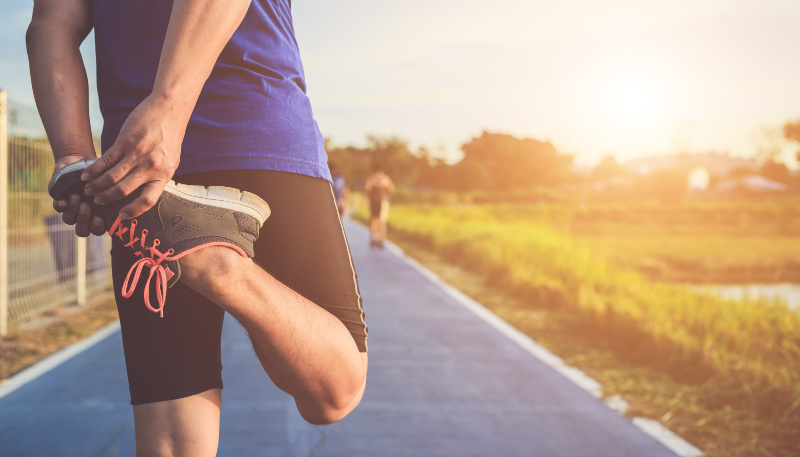 You would need additional support to enhance your health; take multivitamins, eat the right amount of food, and most importantly, do some exercises. People are always deceived with the idea that you could get thin by just taking diet teas, or pills, or perhaps cutting off your daily meals. This is not the case. While it is true that you could lose weight by cutting off your meals, you should know that doing so may potentially put your health at risk. This could result in weakness, as you may end up not having enough energy and nutrients your body would need to survive the day. This may also result in dehydration and worse, malnutrition. Successful weight loss and detoxification regimens are composed of proper diet that offers a balanced meal; go, glow, and grow. This proper diet is often combined with a healthy amount of exercising. Try going out running for an hour each day. Or perhaps you should do some Aerobics or Zumba. This way, all wastes, toxins, and fats will be released through sweating. All the calories will burn from your body and your nutrients will continuously be expelled and replenished. This will result in an improved functioning of your metabolic activity, effectively ensuring smooth flow of digestion and excretion, therefore weight loss. ​There are also some natural tips that you could bear in mind as you go along your detoxification and weight loss. Drinking tea, for example, is a good way for detoxification. It helps promote smooth digestion and helps cleanse your stomach. It is also helpful in weight loss. It is advised to drink a hot cup of tea at least 30 minutes before eating a meal. This will make you feel full and would stop you from eating too much. A cup of tea after meal is also advisable to help better digest the food. Constantly drinking lemon water is another method. As mentioned in the earlier ​parts, lemon water plays a critical role in weight loss and detoxification; it promotes body cleansing due to high anti-oxidant levels. This, as in the tea, will also make you feel full. One simple way to help you be mindful of your diet is by constantly keeping track of your daily progress. This is not meant to pressure you, but this will help serve as your reminder of your achievements. It will allow you to see where you are at in your diet, and what more you should do in order to remove those unwanted fats and reach your ideal weight. It would also help if you would be able to create a diet plan. Make sure that the diet plan will allow you to eat all the types of food needed and that it will not reach the required daily calorie intake. By keeping track of your progress, you would be able to tell if your diet plan and weight loss regimen as a whole is actually working and, in the event that it does not work, quickly find a way to improve your diet plan to suit your need. And then finally, there is this one constant challenge when it comes to weight loss; self-control. 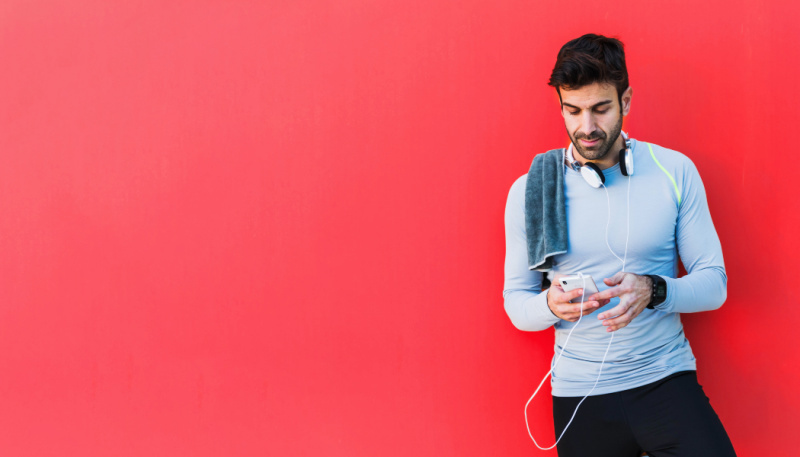 Controlling yourself from eating delicious food, eating just the right amount as required, or perhaps conjuring the effort to go to the gym to start working out will be a big challenge, especially as it basically restricts and limits your free time. Just keep in mind that with proper self-control and proper time management, you would be able to attend to all your gym classes and be able to select and eat all the required food. ​Remember that at the end of the day, after all the hardships and constraints you have put yourself into, it will be the end result will be beneficial for you aesthetically and nutritionally speaking, and that guaranteed, this is something that you would be thankful for and find it worth all the sacrifices at the end of the day. Losing weight is a challenge that everyone finds themselves feeling the need to shed a few pounds at least once in their lifetime. Many would find this very difficult; some would even give up in the middle of the game. There are different reasons why one would want to lose weight; to bit fit and healthy, to feel lighter with their body, and some to even boost their self-esteem and respect for themselves. As mentioned early on in this ​article, there are different ways for one to lose weight, and fruit diet​ is one of them. Always keep in mind however, that for whatever type of diet regimen you opt to take, this said program should be something that is healthy, safe, and effective. Bear in mind that not all kinds of diet and weight loss planning works on every individual; some would only need to cut down a portion of their daily meal, while some would have to revamp their entire meal plan and start filling it with healthy meals. Either way, make sure that the food you will consume will not deprive you of all the nutrients that you are bound to take at a daily basis. Find time to take some multivitamins to support your diet if you have to. There is nothing wrong with food supplements as long as they do have a positive effect in the body. ​Be mindful though, that you should not completely rely on supplementary multivitamins and always eat fruits, vegetables, and white meat as much as you can. Remember that despite the nutrient contents a multivitamin capsule has, it is still made from synthetic components. Further, they are only supplementary medicine; it means that at the end of the day, despite their claim to be full and complete with all the required vitamins and minerals, they just serve as a support for your diet, not a substitute and must therefore not skip any meals in exchange for these medicines. And finally, remember to always consult a medical professional​ - either as a doctor or a nutritionist. They are the ones who studied long and hard to be considered the experts in the field. Surely, they know all of the things that they are saying and would be able to provide you the perfect assistance to an effective weight loss. With that, this article comes to a close. Throughout the course of this reading you were able to understand more about fruits and fruits for weight loss​. This information was meant to assist you in your weight loss and in selecting the proper type of fruit to help you in preparing your dishes aimed for detoxification and weight loss. I do hope that you have learned a lot from this guide. Moving forward, may this information add to your motivation to shed some weight and cleanse your body from unwanted toxins. This way, you would be able to live a normal and healthy life, while at the same time being able to preserve a good health and enjoying the benefits nature presents to us. ​What fruits will reduce belly fat? Belly fat is kind of annoying as it takes a long time to lose the belly fat. It takes a lot of efforts like following a strict diet and working out. Here are few fruits that you can combine with your diet and exercise to lose significant fat. ​Fruits are low in calories, hence they act as a support system to your weight loss plan. In fact, entering a fruit diet will help you lose weight effectively. You can start your day with a lemon squeezed in a warm glass of water every day. This will boost your metabolism, which is crucial for weight loss. ​Does eating only fruits reduce weight? ​Yes, eating raw fruits and vegetables help you in losing weight. Fruits and vegetables have all the ​vitamins and minerals required for a proper functioning of the body. Secondly, as they are more on nutrients and less on calories, consuming raw fruits and vegetables reduce your excessive body weight. But it is important to take in the goodness of protein, hence it is always adviced to add protein at least once in your meals every day. ​Are fruits bad for weight loss? ​It is believed that consuming fruits like bananas and apples will result in weight gain, and thus many people whose goals are to lose weight, often deny eating fruits. This is mainly due to high content of sugar and carbs in them. But there are many fitness experts who suggest their clients to enter the fruit diet as fruits are rich in nutrients and low in calories. When you consume the wide variety of raw fruits, you take in more nutrition and less calories. And hey, fat? There is no fat in fruits. Consuming fruits for weight loss not only reduces weight but also detoxifes your body, making your skin and hair healthier.